It’s a problem that’s set to get progressively worse. 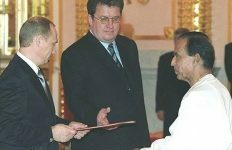 As we’ve previously discussed in RealKM Magazine, much of the mainstream media was taken by surprise by the election of Donald Trump as U.S. President, when they should really have seen the obvious groundswell of support for him. 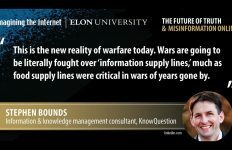 So why was the mainstream media so myopic? 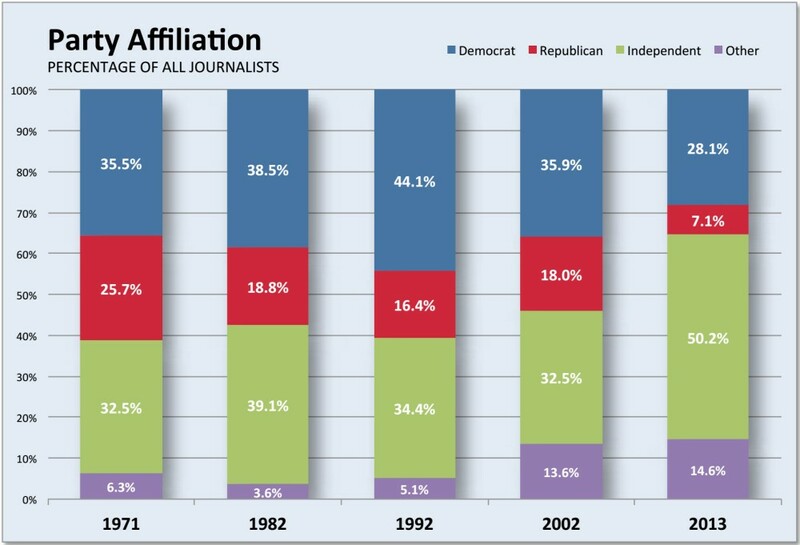 One obvious factor is that the proportion of journalists who identify as Republican has been declining and is now very small: just 7.1% in 2013 as shown in Figure 11. Figure 1. Party Affiliation (source: Willnat & Weaver 2014). Nate Silver, the founder and editor-in-chief of FiveThirtyEight, argues that this lack of diversity in thinking among journalists led to a pro-Clinton groupthink that underestimated Trump’s chances. The results read like a revelation. The national media really does work in a bubble, something that wasn’t true as recently as 2008. And the bubble is growing more extreme. Concentrated heavily along the coasts, the bubble is both geographic and political. If you’re a working journalist, odds aren’t just that you work in a pro-Clinton county—odds are that you reside in one of the nation’s most pro-Clinton counties. This trend can be clearly seen in Figure 2. 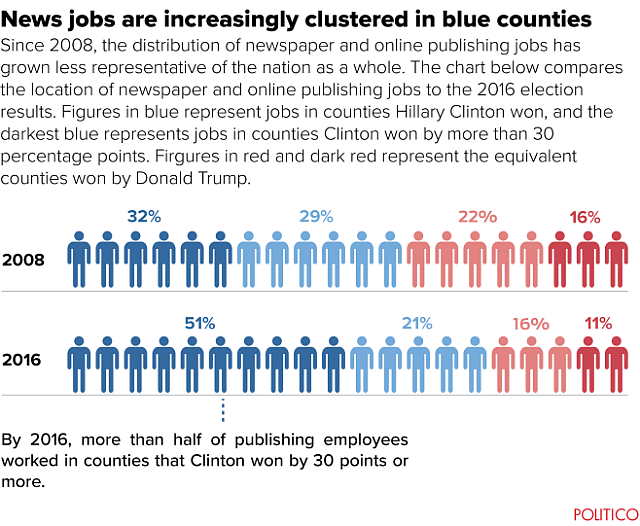 Figure 2: News jobs are increasingly clustered in pro-Clinton counties (source: Graphic by Tucker Doherty in Politico). Shafer and Doherty put forward two reasons for the trend. 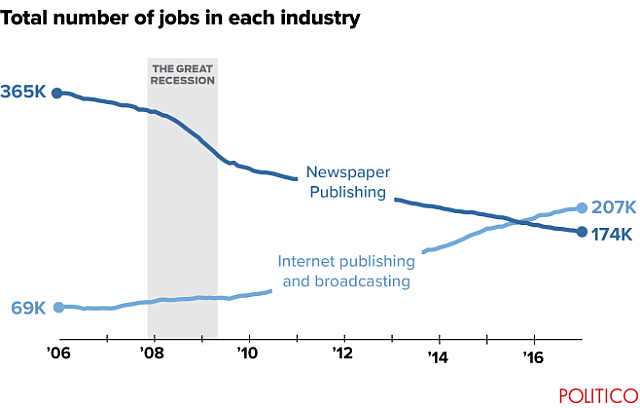 The first is the progressive rise in internet publishing and broadcasting jobs, which has paralleled and contributed to a corresponding decline in newspaper publishing jobs, as shown in Figure 3. In late 2015, the number of workers in internet publishing exceeded those in newspaper publishing for the first time. Figure 3. While internet publishing and broadcasting jobs increase, newspaper publishing jobs decline (source: Politico). 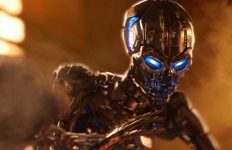 The second linked reason is the geographic clustering of industries, which Shafer and Doherty say has been happening for a long time, giving examples including the clustering of car companies in Detroit and the blossoming of Silicon Valley as an electronics hub. …you don’t need to be a Republican campaign strategist to grasp just how far the “media bubble” has drifted from the average American experience. Newspaper jobs are far more evenly scattered across the country, including the deep red parts. 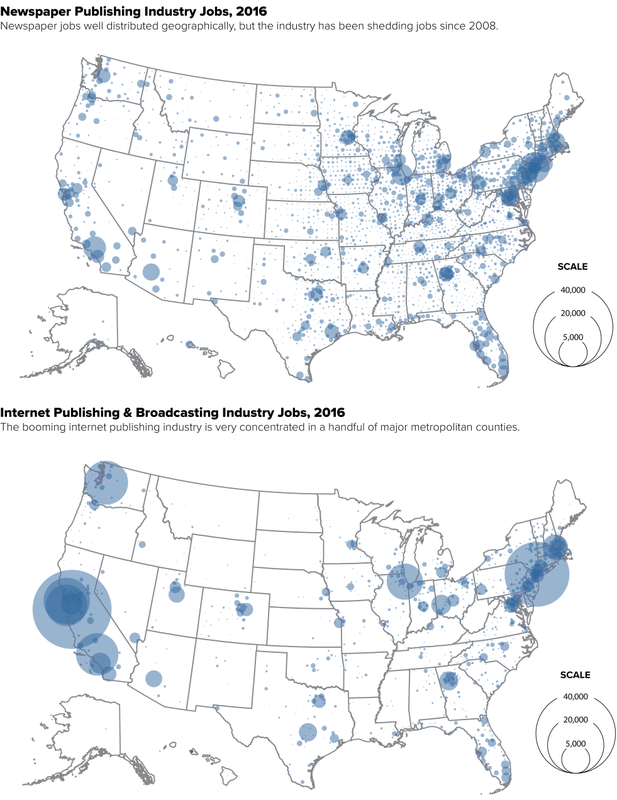 But as those vanish, it’s internet jobs that are driving whatever growth there is in media—and those fall almost entirely in places that are dense, blue and right in the bubble. And elsewhere? Newspaper publishing is being displaced by internet publishing right across the world. Is this trend causing similar jobs clustering and resultant journalistic groupthink in other countries and regions, and what are the social and political impacts of this? Figure 4. News industry jobs, 2016 (source: Politico). Article source: Politico and FiveThirtyEight. 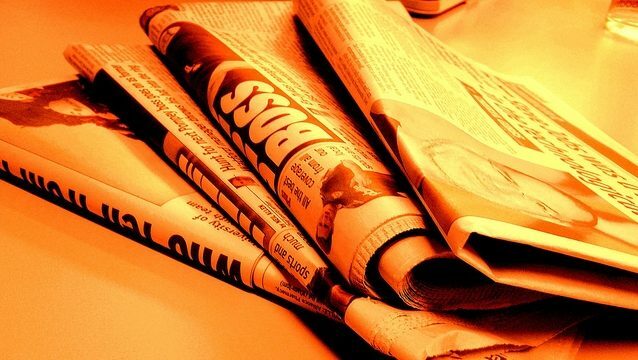 Header image source: Newspaper fire orange by Jon S is licensed by CC BY 2.0.